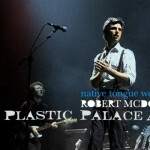 Melbourne’s Plastic Palace Alice is something of an anomaly in Australia’s independent music scene. The scope of the group’s music is large. Incorporating 60s inspired pop, twisted glam, German cabaret, pastoral folk, and the rhythm-heavy stomp of New York in the late 70s, the musical soundbed is combined with a colourful, emotional, and almost ambiguous lyricism. In a scene where most artists either choose to plunder the refined sound of one particular act or period, or alternatively ignore the musical past altogether under the guise of ‘authenticity’, Plastic Palace Alice’s music is defiantly heterogeneous. The group’s debut album, The Great Depression, released in 2008 to rave (though often confused) reviews, contains 12 songs that span a wide range of influences and sounds. From the Bowie-esque opener ‘Empire Falls’ (a triple j favourite in 2007) to the soulful Dusty In Memphis drawl of ‘Well’, the songs on the album are windows into the diverse music of the last century. Plastic Palace Alice is currently recording some singles. 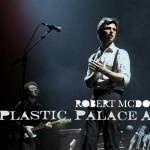 Rob McDowell is the songwriter and musical brainchild behind Plastic Palace Alice. He has also started a top secret new project with Jonathan Burnside (who produced The Great Depression, and was responsible for producing The Sleepy Jackson and The Melvins among many others), the fruits of which are currently being readied for consumption. Plastic Palace Alice have been a little quiet of late, however a new song called “No Shame” is now available to listen to on their myspace page. 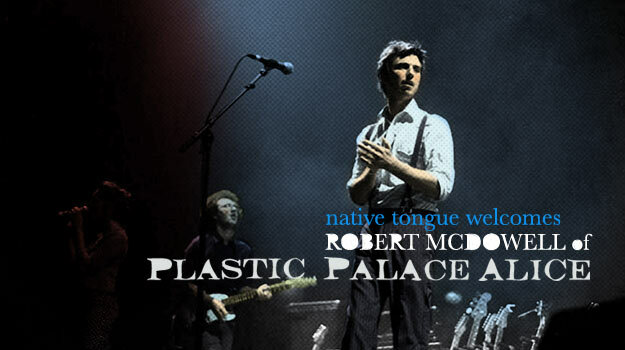 Native Tongue is excited to welcome Robert McDowell from Melbourne’s Plastic Palace Alice. 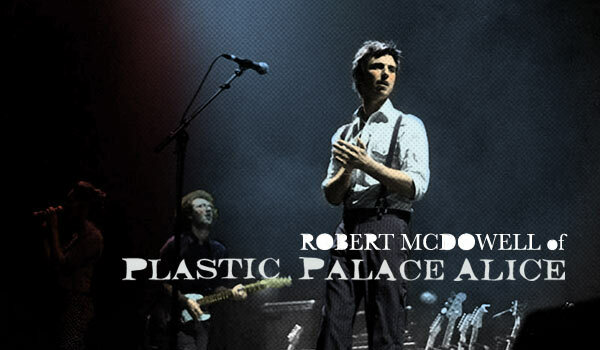 Rob is the songwriter and musical brainchild behind Plastic Palace Alice. He has also started a top secret new project with Jonathan Burnside (who produced The Great Depression, and was responsible for producing The Sleepy Jackson and The Melvins among many others), the fruits of which are currently being readied for consumption.